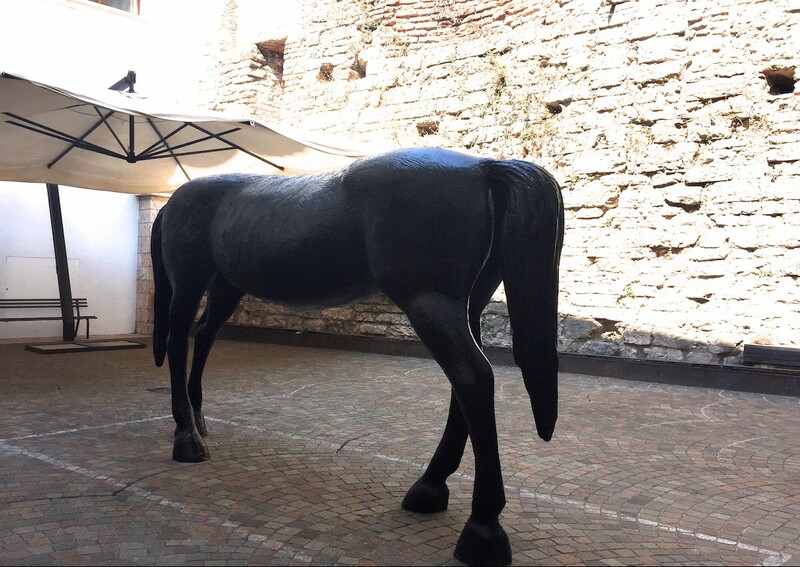 Galleria Civica in Trento hosts The Double. Artists and Private Collections, an exhibition curated by Federico Mazzonelli, until October 18th, 2015. Eight artists were invited to analyse works and authors inside the most important private collections of the territory in order to trace its “double” and search inspirations in one or more works for the creation of new artworks. 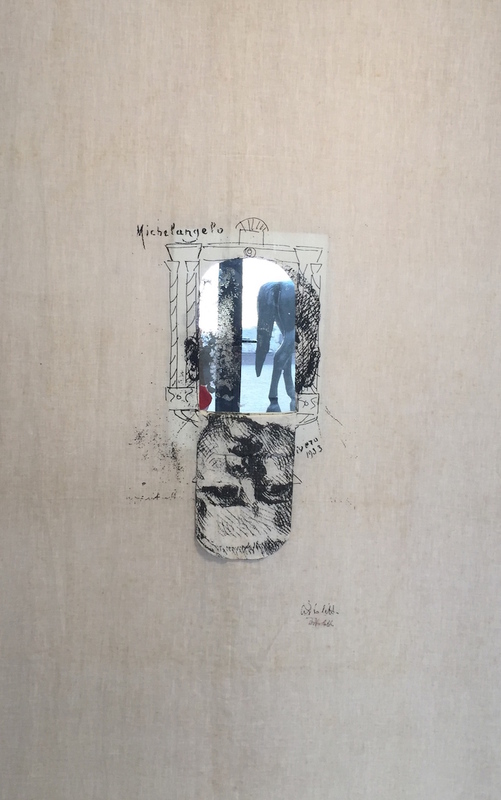 The Double opens with Michelangelo Pistoletto and Federico Lanaro; the two artists introduce the audience to the central topic of the exhibition, the double. The first room is, with the two previous works, a introductory space and it’s composed of works of individual artists on the reinterpretation of the traditional pictorial genres: Pier Paolo Calzolari and the Still Life, Ryan Gander and the Landscape, Markus Schinwald and the Portrait. Following Michael Fliri explores the theme of metamorphosis. In particular, Fliri talks to Daniel Buren and Julius Pasolini about the dimension of the “real” and its various possibilities of interpretation from primitive peoples to analytical and formal dimensions. Adrian Paci faces Piazza d’Italia con torre rosa by Giorgio De Chirico and the small painting by Giovanni De Lazzari. In the video The Guardians there are obvious references of De Chirico’s interpretation of Southern Italy or elongated and almost ideal perspective by De Lazzari, fragments and archetypes of a time suspension. Eva Marisaldi communicates with a Archipenko’s bronze head of 1916, a small sculpture by Mike Nelson, a self-portrait on golden paper by Django Hernandez and a photo by Zanele Muholi through a series of drawings, tool of visual and intellectual proximity. Giacomo Raffaelli analyses the relationship created during the meeting between collector, artist and work through five frames and texts result of this exchange of ideas for the acquisition of the exhibited work NPlone. The second part of The Double continues with Michael Fliri’s video that shows the artist’s attempt to climb steps under the water, a reverse perspective of the space experience. 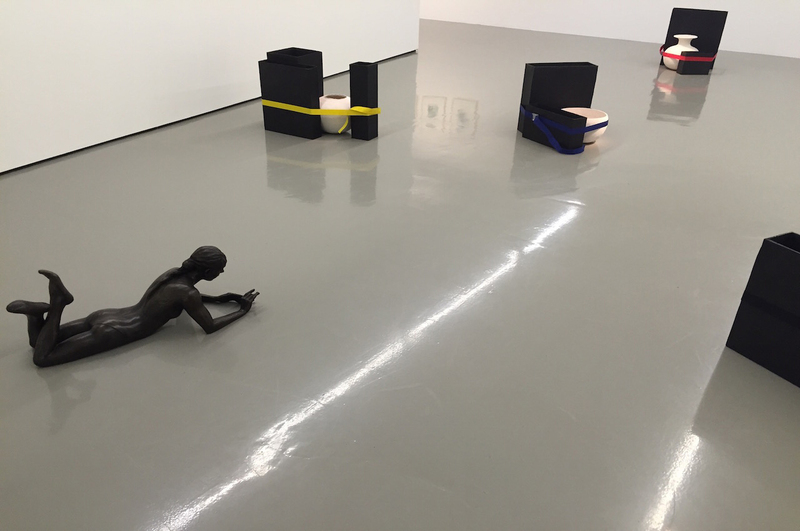 Marzia Migliora replies ambiguity practiced by Ryan Gander with the young dancer by Degas, relaxed and thoughtful, raises an arm to play with a small blue cube, symbol of modernist culture through of white jars, tied into small rectangular bronzes by colored straps that hold up. Luca Vitone proposes the development of an editorial project showed at the Fondazione Galleria Civica’s opening in 2009. Vitone identifies eighteen artists in as many trees in the town of Trento hiding the identity in the anagrams of their name, but finding signs in the authentics of their works collected in the area. Luca Coser thinks about the self-portrait starting from Testa retica by Garbani and Bambino Ebreo by Medardo Rosso. Alice Ronchi faces up to a photo by Luigi Ghirri, Santa Severa, 1980. Around the sea seen through an iron gate, the artist created the video Camera con vista and the sculpture Flora in the feat to recreate the suspended atmosphere of Ghirri’s picture. Closing of The Double, the mirror returns to be in the centre of the exhibition. The impossibility of a perfect focus in the irregular surface of Justin Beal’s work answers the perfect shot, the hyper-realism and the sharpness of the Roni Horn’s picture. Through the exhibition The Double, Galleria Civica becomes a narrative place full of suggestive aesthetic weaves, where are developed some of the most investigated topics of the history of art: the double, the alter-ego and metamorphosis.